Need inspiration for a European getaway? Take a look at our guide to the best city breaks on the continent. The defiantly cosmopolitan leanings of Barcelona as the capital of the Catalan region makes the city a discerning option for a European city and beach break to both the medieval and modernist heart of Spain. The sheer diversity on offer in Barcelona ensures there is plenty to appease every traveller. The esteemed Gothic Quarter's meandering cobbestone walkways stretching back from the Mediterranean, offering a visually stimulating journey through serene squares and ancient buildings, containing a wealth of bars, shops and restaurants to explore. Culture vultures can immerse themselves in a raft of stunning architectural feats, ranging from soaring 14th century cathedrals to the unique works of celebrated and distinctive architect, Gaudí, whose assorted creations can be seen throughout the city. Ireland's capital is an increasingly burgeoning feature on the list of many travellers to Western Europe. A heady blend of tangible Celtic history chimes with near unrivalled nightlife in the form of a pub culture with live traditional music and friendly bar atmosphere at the heart of a thriving nightlife scene. Guinness lovers the world over can visit the home of the Guiness brewery off St James's Gate, where the fable of how the ale synonymous with Ireland came intro fruitition after Arthur Guinness signed a 9,000 year tenancy. Beyond the bar doors is a cultural hotbed consisting of museums and literary roots which has seen the title of Unesco City of Literature bestowed upon surrounds inspiring James Joyce classics Ulysses and Dubliners. Creativity abounds in the cultural calendar of the Netherlands' capital. Exhibitions, festivals and extravagant nightlife ensure that travellers seeking culture are well catered-for, although the city also appeals to those seeking a more peaceful break, with miles of canal walks, serene boat trips and window-shopping. With a plethora of renowned art museums, including the Stedelijk museum of modern art and the Van Gogh Museum, Amsterdam offers an alternative, offbeat romance-enthused undercurrent beneath the surface image of a reveller's paradise. Historic buildings line the canals which circle the centre, while the Museumplein square provides an array of pleasant cafes. The German capital is steeped in diversity at every turn. Whether it's a techno evening at one of the city's industrial zones turned urban hangouts, or a cocktail in one of the many chic beer gardens, Berlin is a ready made feast of cultural delight for all budgets and tastes. Historical significance underpins much of the city's sights and sounds, with the 20th Century fallout alone accounting for a wealth of iconic events which have shaped the foundations of the city. Haunting must-sees include the remnants of the Berlin Wall and the emotionally arresting Holocaust Memorial near Potsdamer Platz, where a field of concrete blocks includes perspective-shifting lighting effects. Familiar from romantic movies and TV shows, the Parisian streets are adorned with visual appeal and romantic overtones. Whether travelling as a couple, as a solo traveller, or with a group of friends, Paris' unending beauty holds a caressing appeal for all who enter the iconic cultural riches of the "City of Light". A visit to the city's various landmarks is reason enough to make the trip, with the view from the Eiffel Tower a must do excursion, while Montmartre to the north of the city provides an equally impressive vista in a laid-back and artsy village atmosphere. The Champs-Élysées and Rue St-Honoré are unrivalled retail therapy hotspots, while romantic boat rides along the Seine allow you to live out all those movie based romantic fantasies. Resting along the Danube River, Budapest provides a range of unique experiences as part of an unforgettable Hungarian adventure. From the hot springs available in abundance, where travellers and inhabitants alike can sample a bathhouse visit as the Romans would have, to a visit to a uniquely-Budapest ruin pub, a trip to Budapest is a contrast between tradition and modern Hungary. Scintillating views from the city bridges lend itself to a romantically inclined city of epicurean delights which houses some of the most sophisticated cuisine around the globe. 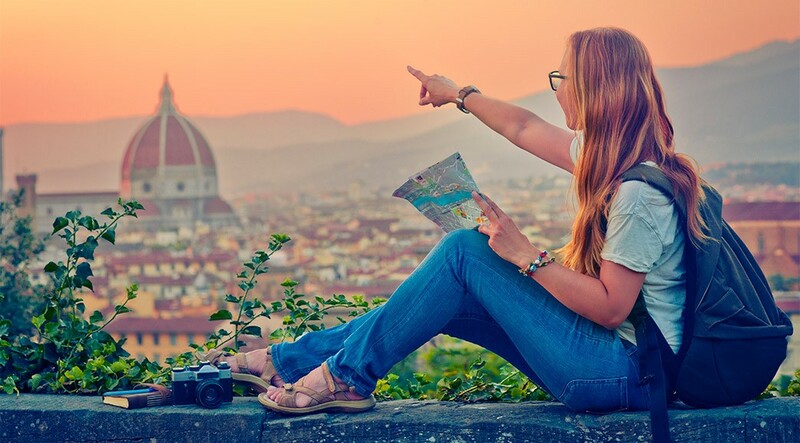 Reachable from East Midlands Airport when flying into nearby Pisa, the Tuscan capital Florence allows visitors to experience the wonders of the Renaissance era. Roman and medieval history is gloriously palpable through the city, with every step seemingly housing an architectural marvel. The churches of Santa Maria Novella and Santa Croce display striking examples of Renaissance period art in themselves, resting alongside an example of Michaelangelo's feats of architectural majesty in the San Lorenzo library. If witnessing the beautiful birthplace of the renaissance wasn't enough, sample authentic Florentine cuisine such as Tuscan bread with a bistecca alla fiorentina, or T-bone steak cooked over hot charcoal, which can be washed down with a visit to one of many enoteca or wine bars.